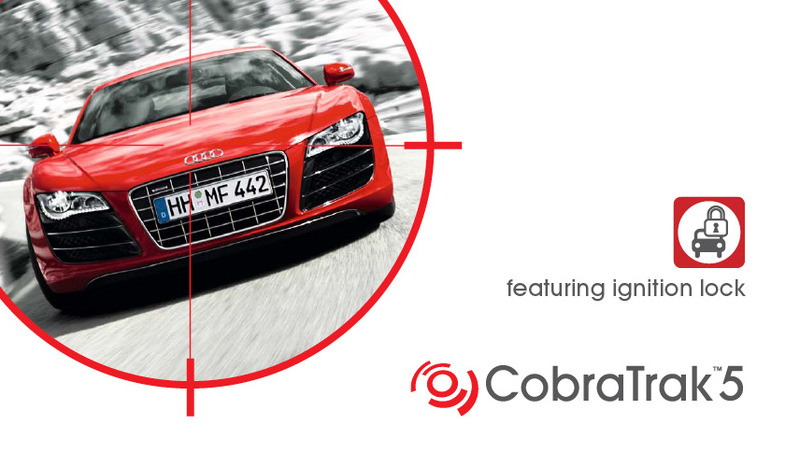 CobraTrak 5 is the highest thatcham rated stolen vehicle tracking system available in the UK. It incorporates all the benefits of the standard CobraTrak Plus system with the added protection of: Automatic Driver Recognition (ADR) Remote Engine Immobilisation The highest level of insurance accreditation available in the UK - Thatcham Category 5 GPS and GSM jamming detection ADR (Automatic Driver Recognition) The driver card is a discreet pocket-sized card that you carry with you whenever you drive your vehicle. On leaving your vehicle, the system automatically arms itself. If the vehicle is moved without the driver card present, Cobra's Secure Operating Centre is alerted instantly to a potential theft. This means that even if your vehicle is taken using your own keys, the theft is detected immediately. How does it work? The functionality is exactly the same as for CobraTrak ADR, but with the additional protection of Remote Engine Immobilisation: Remote Engine Immobilisation Remote Engine Immobilisation technology enables Police to authorise Cobra to send an command to the vehicle to prevent the engine being restarted once it comes to a standstill. This significantly increases the chance of your vehicle being recovered undamaged, and can also help Police to avoid high speed pursuit of suspect vehicles. Thatcham Category 5 Approved CobraTrak 5 conforms to the highest accreditation for stolen vehicle tracking systems, Thatcham Category 5. Thatcham category 5 tracking devices can only be installed and commission by Thatcham TRI installers. Select Auto Systems are the UK's largest cobra Category 5 dealer.